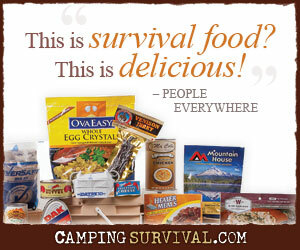 Ropes, twine, and even flexible vines have multitude of uses for a prepper or survivor. They can be used to lash a shelter together, to run a clothesline, or to secure a load in an impromptu backpack. They can be pulled apart and the smaller filaments can be used as a fishing line or for sewing thread. A good rope is worth its cost and weight. There are a variety of useful knots that are used to make all of these uses possible. Some knots allow you to attach two ropes togethers while others allow secure a rope to another object. The class of knot used to attach the end of a the rope to an object such as a post or tree is called a hitch. One of the most common, the most useful, and easiest hitch to tie is the two half hitches knot. The two half hitches knot is easy the tie, holds well under a load, and is easy to loosen when the load is relieved. Tying a two half hitches knot is very straightforward. Step 1: Wrap the tag end (the end of the rope that you are working with) around the tree or object to which you want to secure the rope. Step 2: Tie a simple overhand knot by placing the tag end over the standing end of the rope and bring the tag end back through the loop that you just created. The tag end of the rope should be facing upward if you are tying the rope to a vertical object like a tree. This is a single half hitch. Step 3: Bring the tag end away from the tree and lay it back on top of the standing end again. Step 4: Bring the tag end around the standing end again and back through the loop just as in step 2. Step 5: Slide the knot toward the tree to secure. Describing the knot using only words makes it somewhat difficult to envision. In actuality, it’s easy to tie. Here’s a short video that will help. The two half hitches knot is a very easy knot to tie and, once learned, can be used in most any situation where you need to affix a rope under constant load to another object. It can be used to tie a clothes line between two posts or trees, to secure a rainfly of a tent to a tent stake, or to hang a deer from a tree for skinning and processing. I have a blog based upon on the same ideas you discuss and would really like to have you share some stories/information. I know my audience would value your work.